New! Take our DPS-approved course—all online! Required for teens under 18. From Cleveland to Columbus, DriversEd.com has your online Ohio drivers education needs covered. Whether you're working on your first license, already driving and paying for car insurance, or just want to get closer to high school graduation, we have the course for you. Our DPS-approved teen drivers ed course is required for teens under 18, and is even good for a half (0.5) Carnegie Unit towards high school graduation! If you're already paying for car insurance, our insurance discount course may qualify you for a 10% discount on your policy—ask your agent for more information! At DriversEd.com, we want you to succeed. Our lessons combine plain language, fresh graphics, fun videos, and interactive 3-D animations to make your learning experience easy and entertaining. Easy online access from any Internet-connected device lets you study at home or on the go, any time of the day or night. 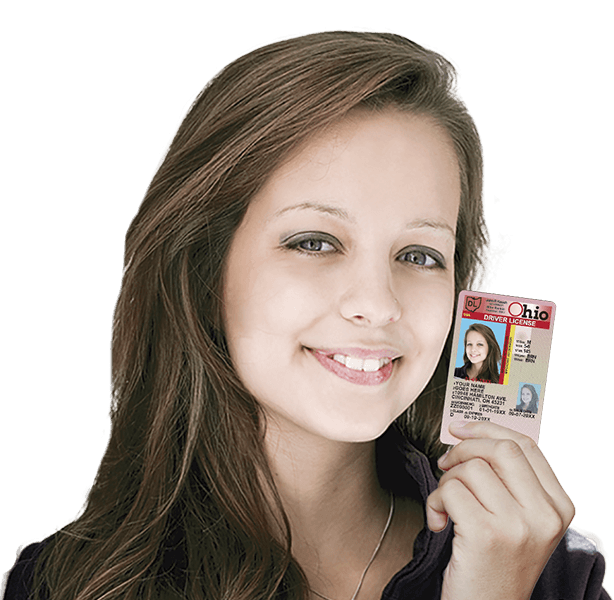 Finish your Ohio drivers education course on your own terms! Earn a half (0.5) Carnegie Unit towards graduation with our DPS-approved teen drivers ed course, required for teens under 18! Qualify for a 10% discount on your car insurance policy—ask your agent for more information!